In the battle for kitchen supremacy, each decision-maker will do so independently, and such comparisons are very subjective. What works for one homeowner won’t work for another, and vice versa. There are many issues surrounding modern kitchen instalments than the decision between gloss and matte finishes. In short, gloss provides that gleaming, reflective quality to your Melbourne kitchen, while matte finishes absorb more light. Each have their adherents, their advantages and each suits a given style more closely. 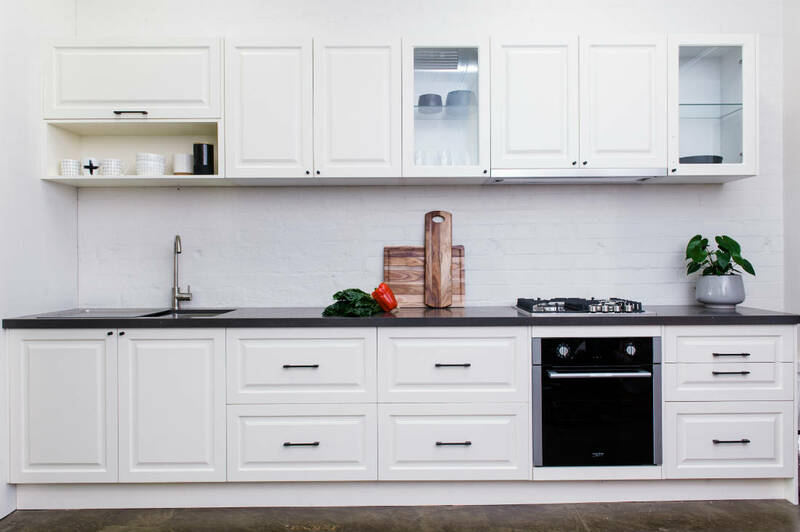 At Zesta Kitchens, we offer a variety of styles in both gloss and matte, but we felt we should provide the benefits of each. The shine of the gloss best suits a Melbourne kitchen that places an emphasis on an ostentatious presentation. These kitchens are not shrinking violets – they are out there, and demand attention. Apart from their obvious presentation qualities, gloss finish kitchens are typically brighter. The finish reflects more of the available light, ensuring that your windows are maximised in their lighting power, and that your cooking space is well-illuminated from within and without – sparkling in fact! The streamlined and handless cabinets are very popular among this group. Imperfections and dirt tend to collect around the handles on cabinets so the trend is towards handless, however, it needs to be remembered this is one of the important differences that fingerprints are far more obvious on these surfaces than on matte finishes. Whilst matte finishes may tend to pale in comparison there is an ease of cleaning that does not come with the shiny cabinets that require cleaning. The gloss smooth surfacing can simply be wiped off, quickly and easily but does require maintenance, ensuring that these cabinets and surfaces are bright and clean at all times, with only a little soapy water! The gloss kitchen, with its flash brightness, has been notably popular in the kitchen refurbishment community for years now, but it faces a contender of another style, the matte finish kitchen. Matte finishes place less emphasis on flash: they are not as perfectly smooth as the surfacing of a gloss kitchen, and they absorb more light. This means they come across with a greater level of subtlety; matte finishes are quieter, on the whole. One of the main reasons for its surge in popularity is its adaptive nature: the finish lends itself to the more decorative cabinet fronts of the traditional and colonial kitchen. Any time that your style doesn’t involve flat kitchen cabinet presentations, perhaps preferring one with projecting borders or exposed handles, you will find a matte finish will come across neater and cleaner. Their duller finish means they are also better suited for kitchens or homes with small children or pets. The surfacing won’t reflect every hand or fingerprint, and may not require the same level of vigilance, or eye for cleanliness. 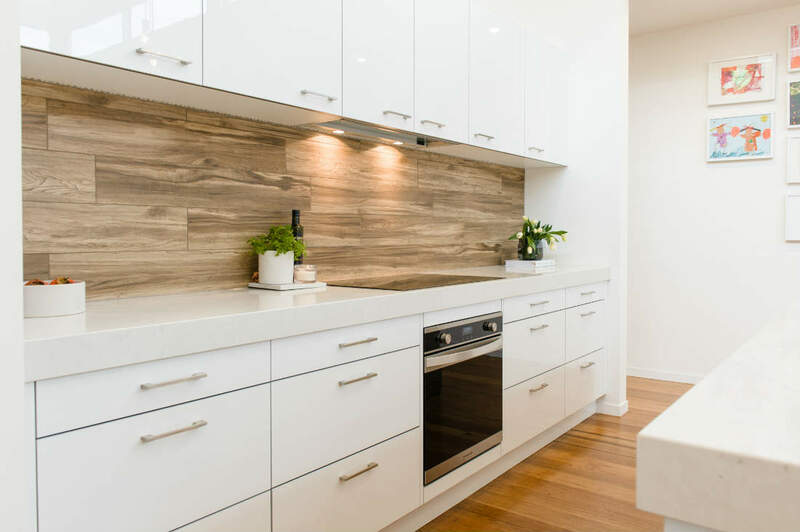 This same quality means they could potentially be better suited to clients that would prefer not to be obliged to wipe their cabinets down after usage; often, busier members of the young professionals’ cohort want a comparatively maintenance-free kitchen area. The finish reflects less light than their gloss counterparts, meaning they don’t form the same brightness inside the kitchen. This could make them better suited to larger spaces, or rooms with a solid allotment of natural light. 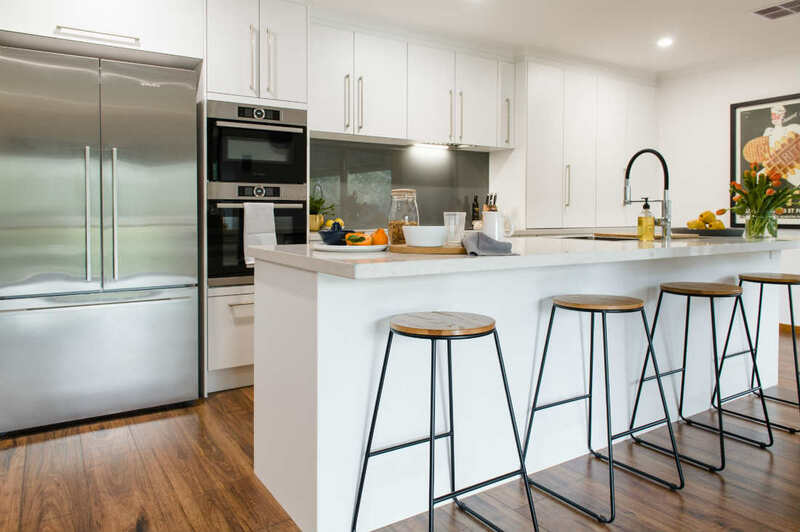 With any decision, your matte or gloss finish kitchen from Zesta will revive your Melbourne home, and make your kitchen a space to enjoy for your entire family. If you’re weighing up the choice, check out the Zesta website or ring us for a chat, and we can get you started.